Mid evening's last port of call. A very good mix of customer types here, perhaps with a number of foreign students. Evening visit, my first since the more permanent bar counter and handpumps were introduced with an array of keg taps. 360° - APA 5.00 Not bad. 3.80 made it pricey though. A few in. Dark outside. I like this pub but it's a bit odd. Mid evening seemed fairly quiet a couple of others at the bar however this pub has many other rooms hidden away, plus the acoustics of being surrounded by a plethora of books will soak up any hubbub of conversation. Tonbridge - Countryman 4.00 This was the only cask ale on offer in sea of Brew Dog keg offerings and it was in faultless condition. Spicy aroma with a roast malts throat hit. Another pump had a Boutilliers clip turned around but I did not note which brew. The pub crawl continues. First visit since they went to brew dog beers as well as a new dispense system. The beer has improved but they now have some ridiculous prices. Boutilliers - Christmas Porter 4.80 Very nice porter. I had to ask for a top up which was still short. Vale of Glamorgan (VOG) - Dark Matter 4.40 Didnt taste quite right for a rasberry porter. Woah what's happening to this place. It has a solid bar snd a huge row of hand pumps and keg taps (mainly brewdog). All the books are still around the wall though. Not very busy. Boutilliers - Ruby Anniversary Porter 5.70 This is really good. Well crafted chocolate porter with enogh body to support the ABV without letting it take over. Afternoon visit with just one other customer when we arrived. This place has changed a lot since my last visit with an array of tall Brew Dog fonts on the bar at one end and a few handpumps at the other. Lunchtime, first visit and with a pal from Buxton down too. Nice micro, friendly bar lady. Impressed, particularly with the full Brewdog stable. Not listing/scoring these days. 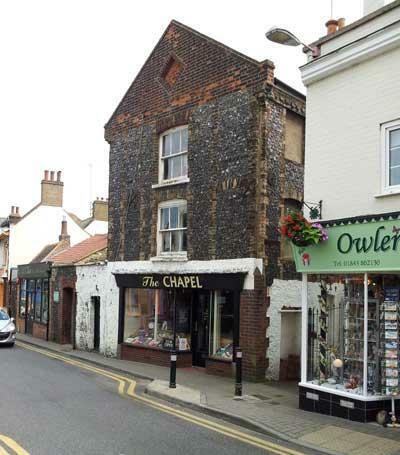 The pub is found in Broadstairs, Kent, CT10 1LX. Formerly the Albion bookshop this is now converted to a pub. From the same stable as The Lifeboat in Margate. Real ales from handpump. When first opened this was served from gravity behind a trestle table bar by the stepped entrance but this was subsequently converted to an L-shaped rough plywood bar counter. In 2016 cask ale dispense was converted to handpumps. 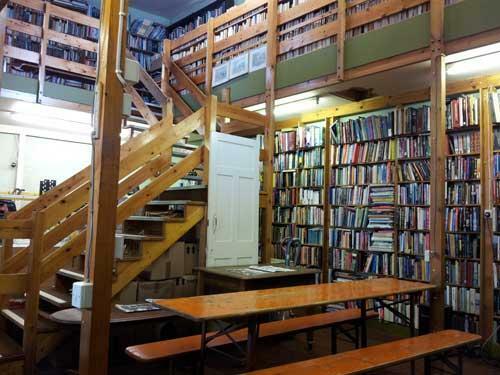 At the time of opening the venue remained a bookshop too with all books marked for sale. Drinking on several levels including a staircase up to the balcony. Now has 8 handpumps and large array of keg taps on a more formal fixed bar counter. We have visited this pub 29 times, seen 50 different beers and tried 30 of them.